I would love to see a planet with caves big enough to fly through possibly all the way to the core so you can get lost trying to get back to the surface. Basically a planet with like 30%cave and 70%matter. I imagine you could make really nice structures or cave cities in there and have a different challenge in finding and mining resources. It may not be very realistic but hey that's what games are for right. That is a really interesting suggestion actually! I hope the devs could configure something like this someday or even a version underwater. I was actually talking about this in chat yesterday. Having Cave / canyon worlds would be awesome for racing and combat as well. If there won't be such a planet, you will be able to dig your own caves for sure! I don't know about the extent of caves, but NQ mentioned in one video that the procedural generation will eventually be extended to "more" 3D generation - but post release at some stage. Not sure that necessarily includes caves, but that's the state of the art. Post-release idea (back-burner for now). 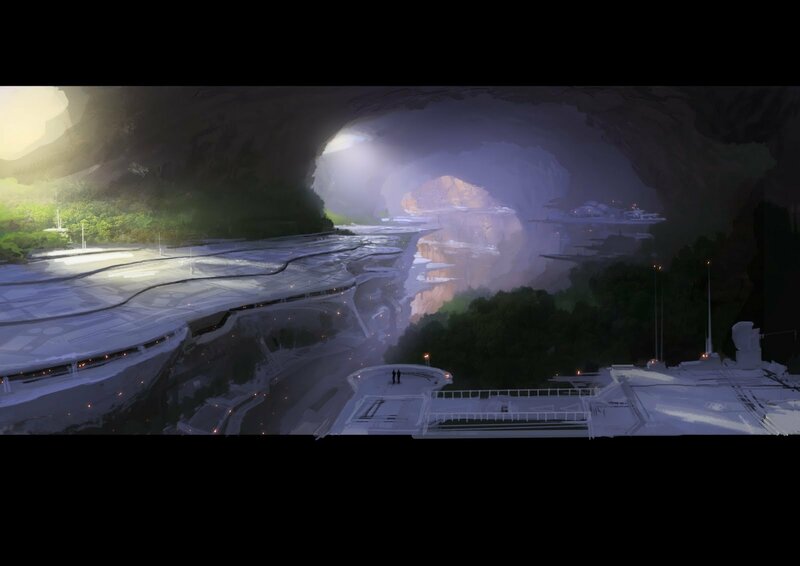 why not have large caves on roids as well not just planets have almost moon sized rocks in space that to small to be a moon but larger than most normal roids in mass. Could create really cool underground cities/bases. On related note, what do people think about an idea of a hollow earth planet? Either have like 50%voxel and 50% empty space with one massive cave under the surface layer or even twist physics a bit to have gravity turn outwards and walk in the inner surface with some light source in the middle. Finding one could also be tied to some kind of mystery/story of the world that would eventually give an explanation for its existence. I'm sure I stated this somewhere else, but in a video NQ stated their Proc-Gen (to create full voxel planets of variable size, biome, type and ore distribution and frequency - it can do all these), well they are able to create these rapidly, however along with the 3D generation (I think some of this is subsequently edited in by the devs directly) all these are subject to ITERATION and IMPROVEMENT techniques POST-RELEASE. So maybe we'll see some caves or more 3dness innately in planet generation but no time soon and no promise to what degree. I'd love to see this implemented. It would make the game's base-building aspect and many other aspects much more interesting and varied.